Sometimes one dish meals are the way to go. Easy to prepare and much less clean up. Our most popular post ever was of a one-dish meal called Smoked Sausage and Potato Bake, which currently has over 8,500 views. 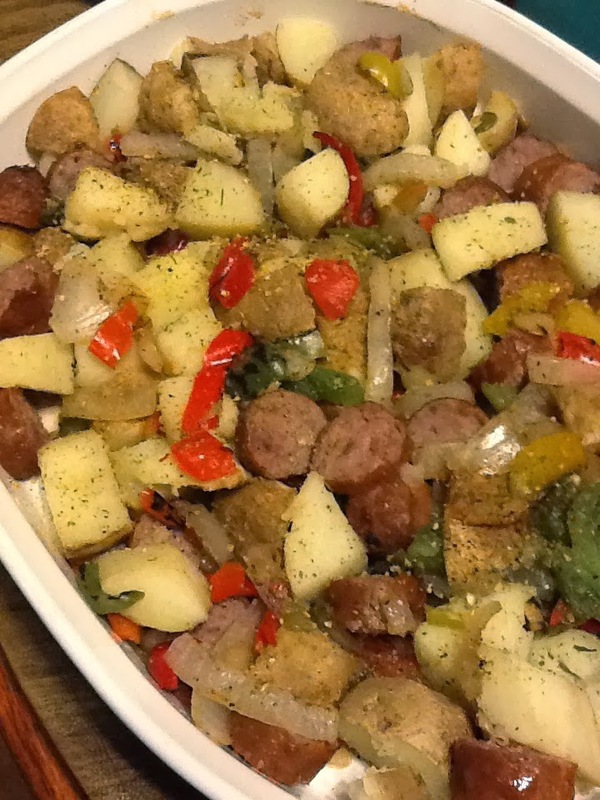 The bratwurst bake pictured below is pretty similar, but was even easier. I had a few leftover baked potatoes that I diced up. I put the bratwurst and peppers in the casserole dish and popped them in the microwave for a couple minutes to speed things up, then added the potatoes, drizzled with a little olive oil and sprinkled with seasoning. It went into the oven for about 15 minutes for it to heat throughout.